The 411 Ham, as a single word can evoke so much passion among food lovers. Growing up I fell in love with prosciutto – its complex flavour, salty nature and ecstasy-invoking abilities. Nothing made me happier than being somewhere where I can indulge and go hog wild on it. Over the years, my preferences have changed, evolved even, but deep down inside I still yearn for taking a perfectly sliced piece and wrapping it around my finger and popping it in my mouth. 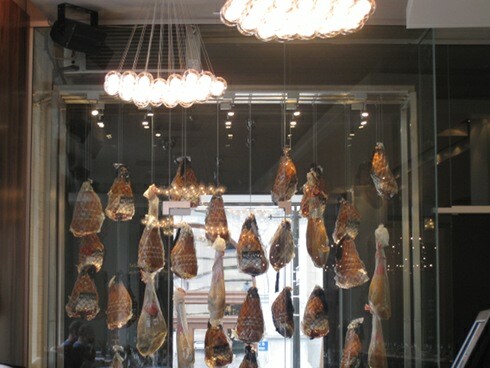 When I passed by Hambar and saw cured meat hanging in the entrance, I felt like I was in heaven. Then when I found out they offered brunch, curiosity and excitement inspired me to see what was going on.